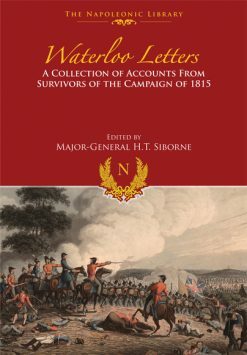 Complete list of recipients of the Waterloo Medal, issued to all who took part in the battle. Virtually the roll call of the British regiments and corps, including the King’s German Legion, who fought in the battle. 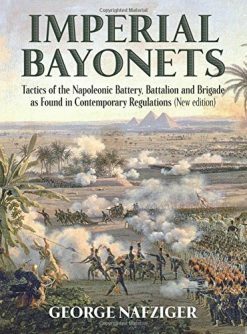 Lists are arranged by regiments/corps, placed in order of precedence, and in most cases broken down into companies or troops (cavalry) within regiments and battalions, each identified by its officer commanding. In some units casualty details are given. The staff are shown separately. A truly historical record. This medal was the first award issued to all ranks, and set a precedent for the issue of campaign medals.It was awarded to all those who served at the battles of Ligny, Quatre Bras and Waterloo 16th-18th June 1815.The battle is well-known, and a wealth of literature on the subject is available.The most sought-after awards are, as usual, those to officers and to casualties.In addition, medals to cavalry regiments are popular, especially those to the 2nd Dragoons (Royal Scots Greys),who made a famous charge during the battle.Awards to members of Colville’s Division consisted of the 35th, 54th, 59th and 91st Foot.Some 36,000 of these medals were issued, 6000 were issued to Cavalry; 4000 to Guards; 16,000 to Line Regiments; and 5000 to Artillery.In addition, there was the usual contingent of supply personel, and a 6,500 strong contingent of the King’s German Legion. This latter group played an important part in the battle and suffered high casualties, The medal itself was always issued in silver and is unusual in that the head of the Prince Regent is shown, whilst all other campaign awards show the head of the relevant king or queen.The reverse depicts the figure of Victory..Originally, the suspension was by a steel clip and ring, but as this was unattractive and prone to rust, many recipients had suspenders fitted privately.The naming is always in large impressed Roman capitals, with stars at the beginning and end of the naming to fill up any free space.The ribbon is of crimson, with blue edges. 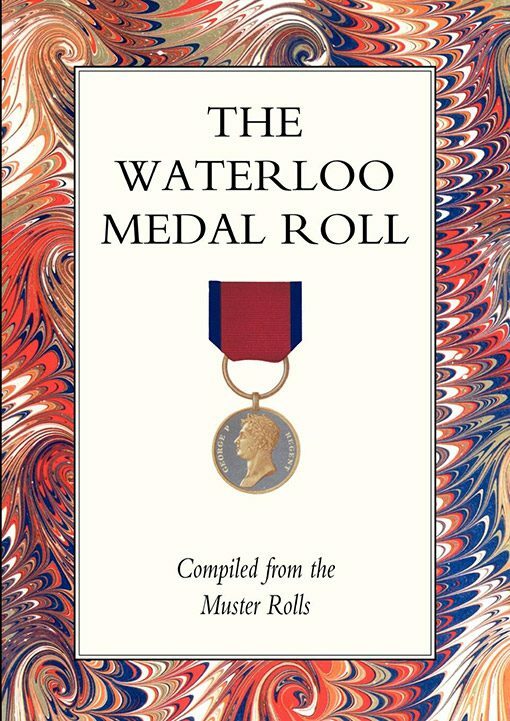 This roll is a list of recipients of the Waterloo Medal, issued to all who took part in the battle, including the King’s German Legion. 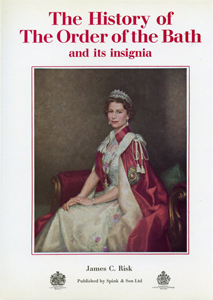 Lists are arranged by regiments/corps, placed in order of precedence, and in most cases broken down into companies or troops (cavalry) within regiments and battalions, each identified by its officer commanding. In some units casualty details are given. The staff are shown separately.